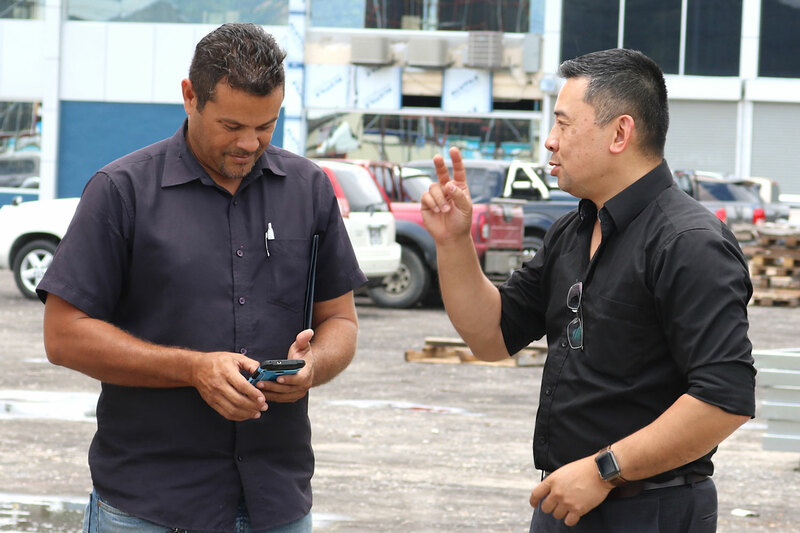 Contractors in Trinidad and Tobago stand to benefit significantly from partnering with Steel Framed Engineered Solutions Limited according to General Manager, Steel Framing Systems (SFS) International, Bobby Liu. “For contractors out there saying why?….Why do I want to take on something like this.…because you can do far more projects where if you are completing one project every 6 months,” Liu smartly assessed. Steel Framed construction is extremely quick and Liu stated that contractors should take advantage of Steel Framed Engineered Solutions’ state of the art equipment that would be able to deliver steel framing in a short period of time to expedite their projects. “Overseas when you are doing two, three bedroom houses or even a two storey we are completing the entire super structure, the steel frame in two or three days. That means you could literally put the roof on in another few days or week and you are up to dry wall stage. “You can start running your electrical because you are out of the weather. I am sure you are aware that on this island you are always getting rain. How many interrupted days are you getting? These guys are assembling the product in a plant under cover so you don’t have that problem. Once it is delivered put it up and you are away. All their products are fully engineered and fully labelled. You can see there is a clear label on every single item which identifies where the truss goes and which I can show on our software system.” Liu divulged.